After the heat was turned on Sunday evening, a puff of smoke set off alarms at the Hampton Inn. Guests at the hotel were briefly evacuated before the source of the problem was discovered, said hotel owner Chris Vivolo. 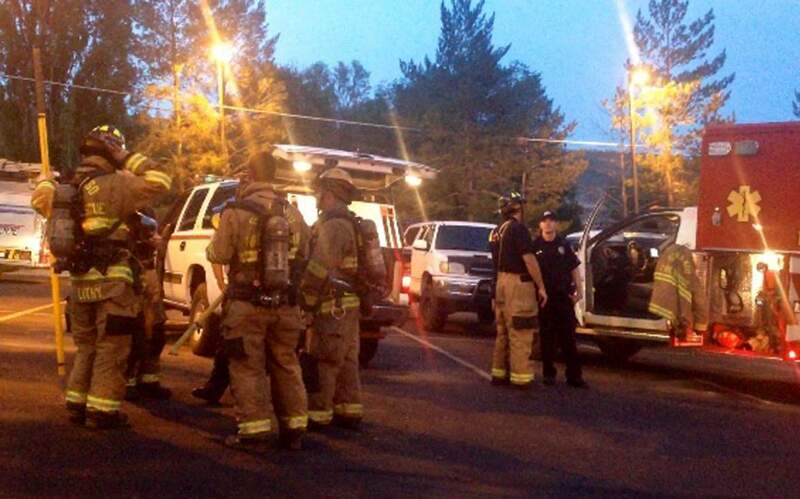 Just about every piece of equipment owned by the Durango Fire Protection District was sent to the Hampton Inn, 3777 Main Ave., Sunday evening after an employee smelled smoke in an office. About 20 firefighters and five engines, including two ladder trucks, were on scene, said Tony Harwig, battalion chief with DFPD. Two ambulances were also at the ready. The hotel’s 20 guests were briefly evacuated, and many were out during the incident. Those who were in their rooms patiently waited while an employee of the hotel handed out water and cookies. Hampton Inn’s general manager Barb Richter began notifying guests they could return to their rooms at about 8:10 p.m. Firefighters and hotel owner Chris Vivolo determined that the cause of smoke was simply the heat being turned on. He said a heating vent in the hallway next to the office triggered the smoke alarm. Harwig said they came and were ready for anything. “Every time we have something with this amount of life in it, we’re going to hit it hard and fast,” he said.